Architect Fred Koetter passed away today. Koetter, who earned a bachelor’s in architecture from the University of Oregon and his master’s in architecture from Cornell University, was a founding principal at Boston-based Koetter Kim & Associates. (According to the University of Oregon, the firm had a London office from 1989 to 1995.) The firm designed across many scales, from architecture to landscape architecture, urban design, and urban planning. In addition to teaching at numerous universities, as well as serving as dean of Yale’s School of Architecture from 1993 to 1998, Koetter coauthored the 1979 book Collage City with Colin Rowe. The Architect’s Newspaper will follow-up with a full obituary in our next print issue. With deep sadness, I write to let you know that Fred Koetter, beloved teacher, critic, architect, urbanist, and former Dean of the Yale School of Architecture, passed away Monday morning after a long illness. Fred made many valuable and lasting contributions to the School during his time as Dean (1993-1998), including placing a greater emphasis on urban design and housing throughout the curriculum, re-energizing the post-professional and undergraduate programs, and completing an initial renovation of the School building. The Rome summer program was founded during his tenure and the Yale Urban Design Workshop became a vital bridge between the University and the city of New Haven. 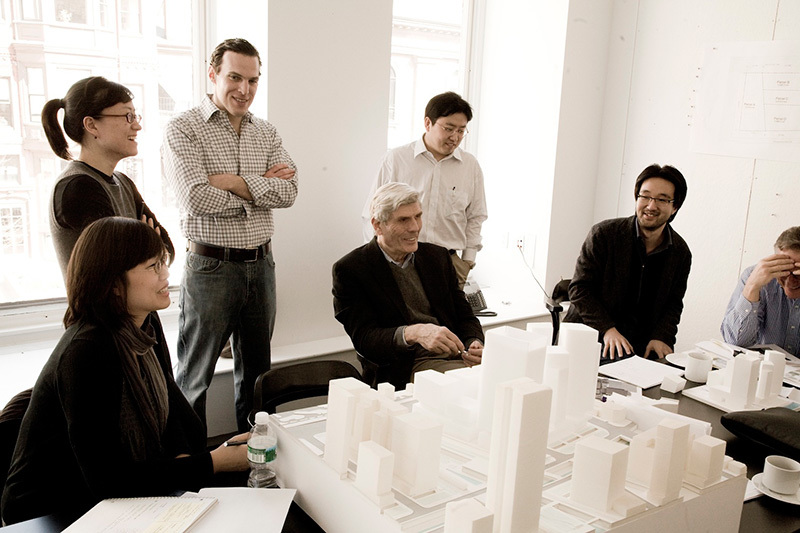 After his tenure as Dean, he led the post-professional M.Arch II program and remained on the faculty until his retirement in 2014. We remember him as a perceptive critic, a superb professor, a generous dean, and a great designer. Before coming to Yale, Fred taught at Cornell and the Harvard Graduate School of Design, and served as the Bishop Visiting Professor here in Fall 1984. Born in Montana, Fred earned a B.Arch from the University of Oregon and his M.Arch at Cornell, where he became close with Colin Rowe. In 1978, he co-authored with Rowe the ever-relevant book Collage City, an argument for a pluralistic and multivalent practice of urban planning. Later, including during his tenure as Dean, his professional practice co-founded with Susie Kim, Koetter Kim & Associates, achieved widespread renown with offices in Boston and London and projects including Yale University’s Rosenkranz Hall (2012) as well as a master plan and multiple buildings for London’s Canary Wharf. We extend our condolences to Fred’s wife Susie, his daughters Susanna and Quentin, and his sons Alfie and Max. Please join me in remembering Fred’s extraordinary life and accomplishments.